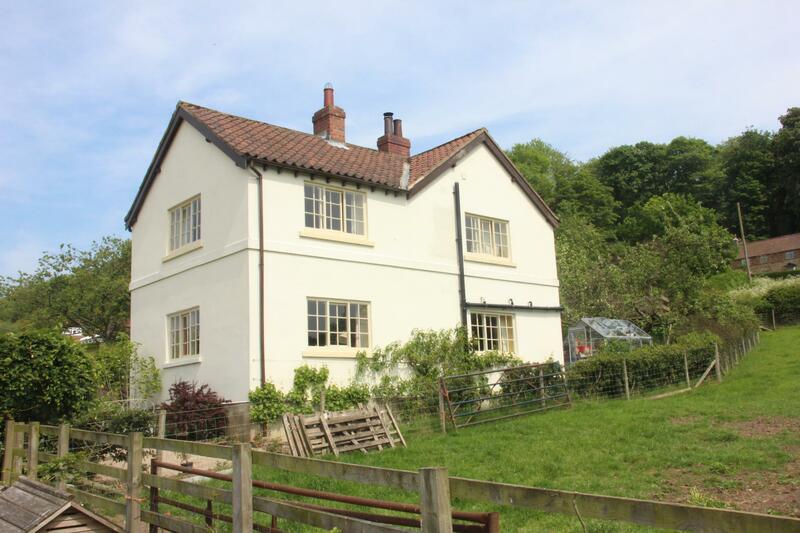 A characterful detached 3/4 bedroomed Family home, revealing spacious and well proportioned rooms and outstanding rural views. EPC RATING: E Mileages: York - 14 miles, Easingwold - 4 miles, Helmsley - 10 miles, (Distances Approximate). 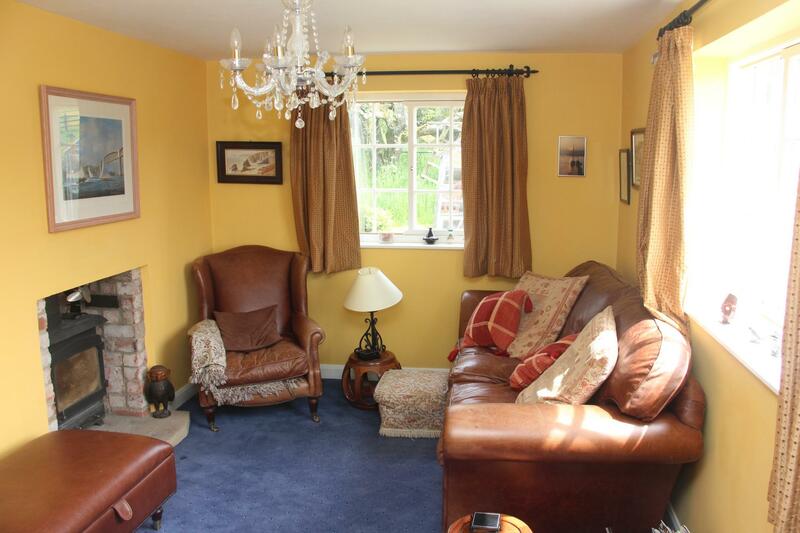 A characterful detached 3/4 bedroomed Family home, revealing spacious and well proportioned rooms and outstanding rural views. Covered Storm Porch, Reception/Hall/Dining room, Staircase Hall, Sitting room, Study, Breakfast/Dining room, fitted Kitchen, Pantry store, Utility room, Cloakroom. Galleried First Floor Landing with space/use as an occasional Bedroom 4, Master Bedroom, En Suite Dressing room, luxury En Suite Bathroom, Bedroom 3, Guest Bedroom 2, En Suite Shower room, Family Bathroom. Outside, Westfield enjoys a secluded position with landscaped gardens, timber garage and a generous orchard rear garden with raised bed and a rectangular grass paddock adjoining. 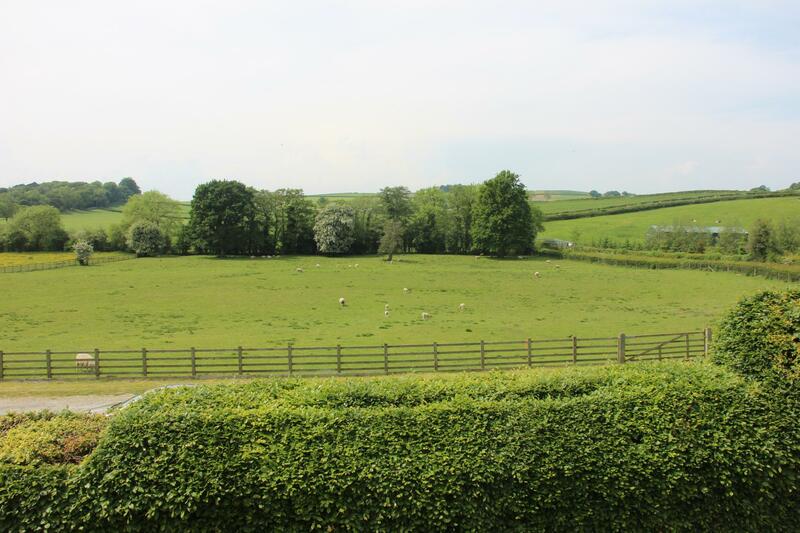 All set within 0.45 acres or thereabouts. Handmade wrought iron and oak stairs to first floor, tiled floor. 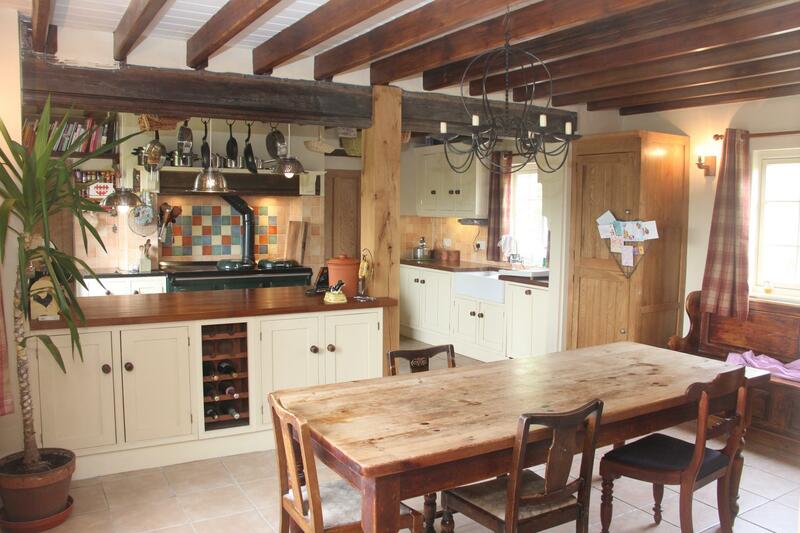 Dual aspect having orchard and paddock views, wood burning stove set on a stone hearth. Window to the rear elevation overlooking the generous orchard gardens, pitched pine floor, cast wood burning stove set on a stone plinth, flanked by built-in cupboards with shelves over, exposed ceiling beams. Comprehensively fitted with a range of cream fronted bespoke cupboard and drawer floor units, complemented by Iroko preparatory work surfaces, central oil fired 4 oven Aga with twin hot plates and warming plate (providing domestic hot water and central heating to radiators), set within a tiled alcove with high mantel and broad oak beam, double Belfast sink unit with swan tap set within Iroka work surfaces with matching floor and wall units, integral dishwasher, tiled mid range, plate rack, exposed ceiling beams, additional granite work surface with two ring electric hob with cupboard and drawers under. With fitted shelves and tiled floor, chest freezer and upright refrigerator. Double Belfast sink unit set within work surfaces with cupboards under, space and plumbing for a washing machine, tiled floor, stable style door to rear gardens. 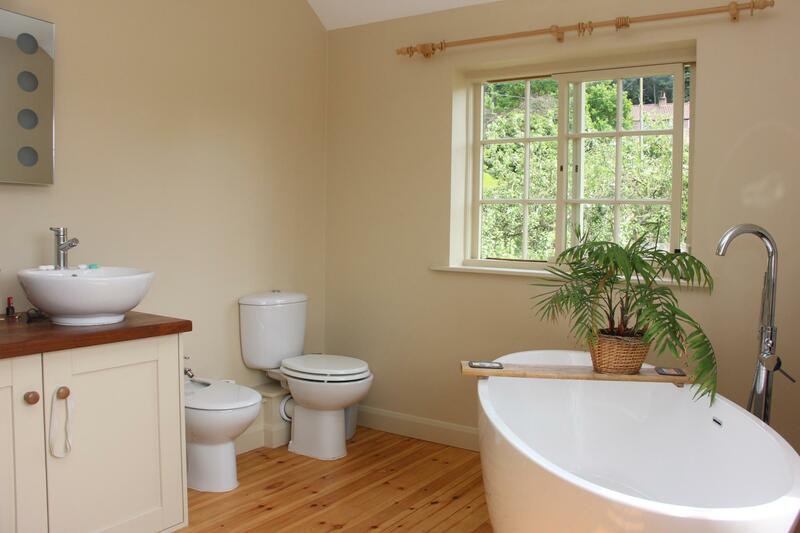 White suite comprising wall hung wash hand basin, low suite WC. With space for an occasional Bedroom/Study, window to the front elevation overlooking the established gardens, pine flooring. 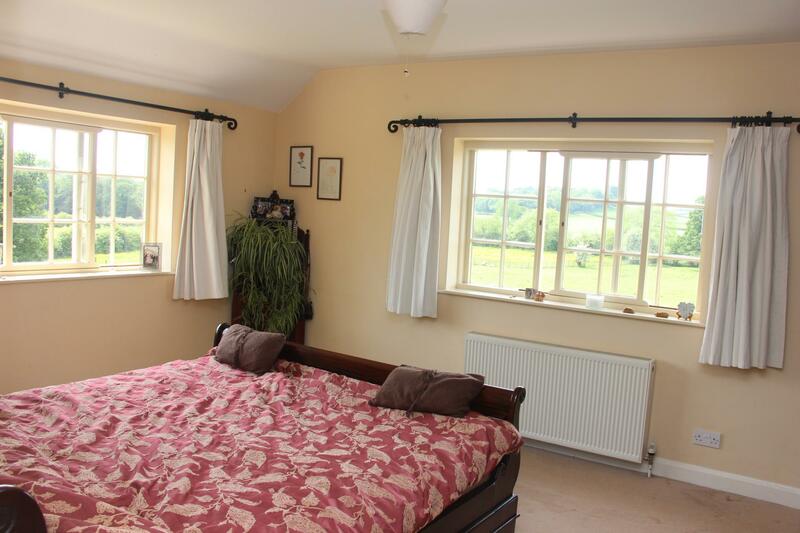 A dual aspect room with elevated views over adjoining farmland. A dual aspect room overlooking the established gardens and adjoining paddock and farmland, with suite comprising slipper style bath with swan mixer tap and hand held shower, vanity unit with twin wash hand basins, large walk-in double shower, bidet, low suite WC, vertical heated towel radiator. With pleasant outlook over the established orchard style gardens. Part tiled walls. Suite comprising walk-in shower with overhead rose and plumbed shower, pedestal wash hand basin, low suite WC, pine flooring. 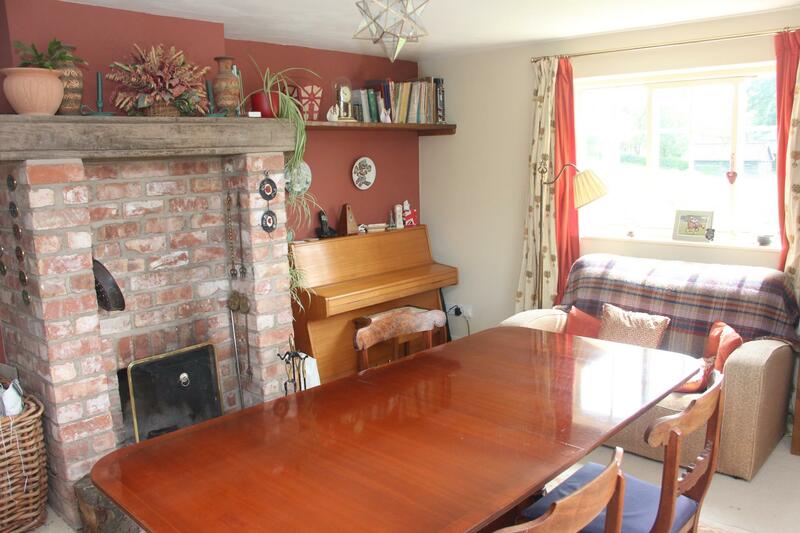 With pleasant outlook over rising gardens/orchard, pine floorboards. Airing cupboard and adjoining fitted cupboards. Part panelled walls. White suite comprising shaped and panelled bath with shower screen and plumbed shower over, pedestal wash hand basin, low suite WC, two vertical heated towel radiators. 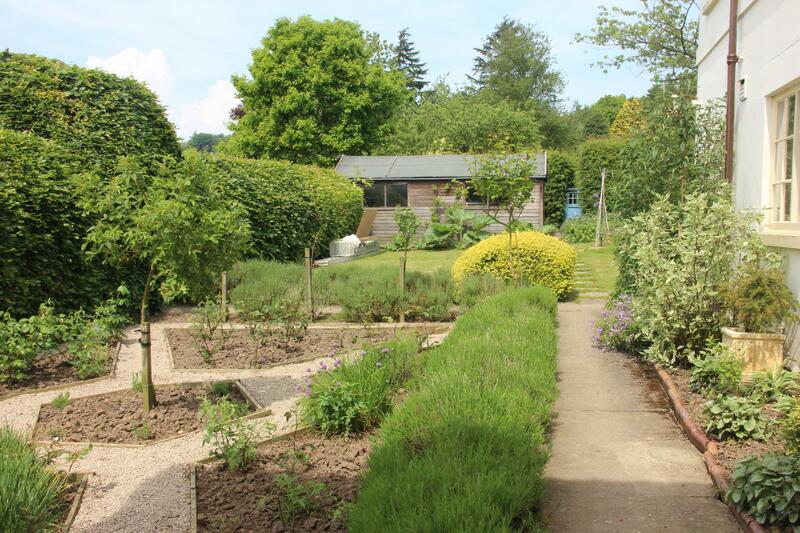 A generous orchard rear garden containing cherry, damson, plum, apple, pear and peach trees, raised bed and a rectangular grass paddock adjoining. 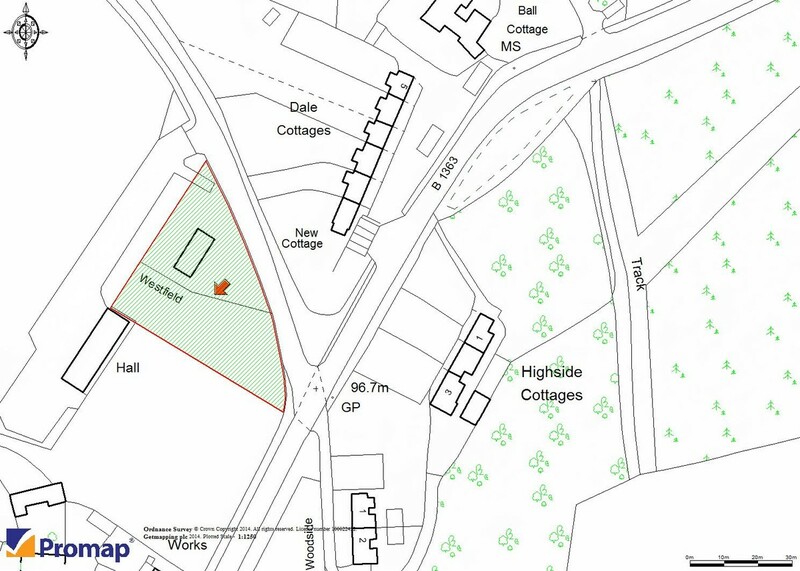 All set within 0.45 acres or thereabouts. With mains electricity, a private water supply, septic tank drainage, and oil fired central heating. From York take the B1363 York/Helmsley Road northwards. Drive through the villages of Sutton on the Forest and Stillington, and proceed to Brandsby. Take the second turning left, whereupon Westfield is positioned on the left hand side.